How long does a blood transfusion last? Blood is thicker than water, as the saying goes, and it is just as essential for supporting life. In the human body, blood performs three broad functions; transportation, regulation, and protection. Blood transfusion is a common procedure. According to the American Red Cross, every 2 seconds, someone in the United States needs blood, and nearly 21 million transfusions of blood elements (red blood cells, platelets, or plasma) are made each year in the U.S.alone. Here we will provide a timeline on how long a transfusion will be effective and the duration of the process itself. How long does a blood transfusion take to work? How long does the procedure itself last? How long do the benefits last? When would you need a blood transfusion? In many cases, a person will feel positive effects of a blood transfusion immediately. A blood transfusion typically takes 1-4 hours, depending on the reason for the procedure. The benefits of a transfusion may last for up to 2 weeks but vary depending on circumstances. There are various types of transfusion that may provide an individual with specific elements of blood, such as plasma or red blood cells. Studies suggest an immediate increase in haemoglobin counts for people with cancer and anemia, after a blood transfusion. The effectiveness of a blood transfusion and the improvements a person may experience regarding their symptoms or energy levels vary between individuals. The length of time it takes for a blood transfusion to take effect depends on why a person needs the transfusion. One studyshowed that people with cancer and anemiareported a significant increase in their sense of well-being, and their hemoglobin counts, immediately after receiving a transfusion of red blood cells. However, a blood transfusion, or multiple transfusions, may take longer to be effective in people who have experienced a traumatic injury; but this will depend on the amount of blood they have lost and whether they have any other conditions. The amount of time it takes to receive a blood transfusion also varies. It depends on how much blood an individual needs and what sort of blood product they are receiving. According to the National Heart, Blood, and Lung Institute, a blood transfusion typically takes 1-4 hours. If you have anemia, how long does a blood transfusion take? People who have anemia will receive a transfusion of red blood cells, which takes longer than a transfusion of plasma or platelets. The typical length of time for such a procedure is 4 hours, although there can be variations. Are there any ways to speed it up? In most cases, the question of how long a transfusion takes is left up to the nurse. In an emergency situation, transfusions may happen extremely quickly. Most of the time, however, the emphasis is placed on administering a transfusion at a pace the person can easily tolerate. One nurse reported that she would transfuse 1 unit of blood into a young, otherwise healthy person in about 2 hours, but for an older adult with multiple health problems, the process would take 4 hours. 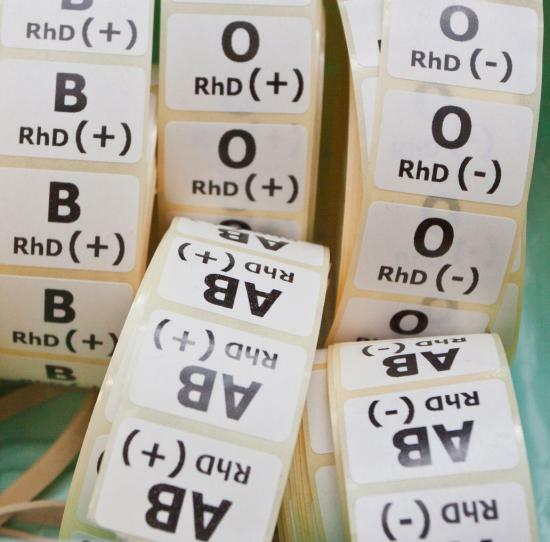 Blood types: What are they and what do they mean? Blood transfusions depend on a range of factors including the patients blood type – learn more about different blood types here. The length of time the benefits from a blood transfusion last depends on the conditions that prompted the need for a transfusion. People who needed blood because they were in an accident are likely to continue to experience the benefits of their transfusion for some time, as are those who require transfusions during surgery. The benefits of transfusions given to people suffering from chronic or long-term diseases have different life spans. One study found people with cancer and anemia experienced significant improvements that lasted for about 15 days. The circulatory system of the average, healthy adult contains about 10 pints or 5 liters (l) of blood. Whenever individuals lose more than 3 pints or 1.5 l of blood, they will require a blood transfusion. Whole blood transfusions are not as common as transfusions involving only part of the blood. Separating blood into its different parts makes it possible for more people to benefit from the same unit of blood. Are there different times for different types of blood transfusion? The American Cancer Society report that red blood cell transfusions usually start slowly and are completed in about 4 hours, while transfusions of plasma and platelets do not take as long. According to the United Kingdom’s National Health Service, it takes 30-60 minutes to transfuse 1 unit of plasma or platelets, compared to 2-3 hours for one unit of red blood cells. A doctor may send a blood sample for a CBC test, prior to a transfusion. Blood transfusions take place in a doctor’s office or hospital. First, doctors will do a complete blood count (CBC) test to check what sort of transfusion a person needs. Using a needle, the doctor will insert an intravenous (IV) line into a blood vessel. Once the line is in place, the doctor removes the needle, and new blood or blood products flow into the person’s veins. These symptoms could be signs of an allergic reaction to substances in the donated blood. Other reactions are less common and potentially more serious. If an individual is going to have an allergic reaction, it is most likely to occur within the first 15 minutes of the procedure. When the transfusion is complete, the doctor removes the IV line. A person may notice bruising or discomfort for a few days afterwards at the site of the insertion. Depending on why a transfusion was needed, doctors may carry out post-transfusion blood tests to evaluate the body’s response. It is usually not necessary for individuals to make any changes in their daily lives or diets either before or after a blood transfusion.